Julie is a BCPP with a polarity practice, NuEnergy Health, in Greensboro, NC. In the past, Julie was the ATM of Carolina Polarity Institute of Energetic Studies, a small school where she taught the APP program. Julie also has a BA in Psychology and masters level work in Public Health, Counseling and Psychometrics. Julie has had various business careers including being a field director for the National Red Cross, corporate manager of several AR departments at Macy’s and Federated department stores. Julie opened, owned and operated a brick and mortar business for 10 years and she now renovates and resells houses in Greensboro. Julie has served on many volunteer boards over the years including the APTA Board of Directors. 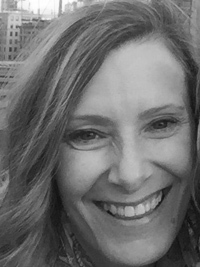 She is passionate about APTA, the Polarity Therapy profession and ensuring our modality remains independent and grows into its power as a premier holistic health modality. 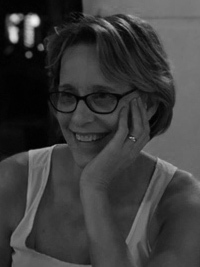 Christina Ross, PhD, is a Board Certified Polarity Practitioner (BCPP), Registered Polarity Educator (RPE), and Certified Energy Medicine Practitioner (CEMP), who has earned bachelor’s degrees in both psychology and physics from the University of North Carolina at Greensboro. She earned her PhD in Energy Medicine from Akamai University, with a research appointment to the Wake Forest School of Medicine’s Institute for Regenerative Medicine (WFIRM), through the Wake Forest Center for Integrative Medicine (WFCIM). Her dissertation involved research studying the therapeutic effects of low-frequency pulsed electromagnetic field (PEMF) on inflammation/immune associated molecules. She currently works as a biophysicist at the WFIRM, studying the effects PEMF on adult stem cells to modulate pain, inflammation, and stimulate tissue regeneration. She has published articles in internationally known medical journals: Journal of Inflammation Research, Stem Cell Research, Electromagnetic Biology and Medicine, Wound Repair and Regeneration, Journal of Science and Applications in Biomedicine, Organogenesis, Biomaterials, World Journal of Gastroenterology, Expert Opinion on Biological Therapies, Digestive and Liver Disease, Integrative Medical Insights, Biotechnology Progress, Alternative Therapies in Health and Medicine, and JSM Biotechnology & Biomedical Engineering. She has also authored a book on Energy Medicine titled Etiology: How to Detect Disease in your Energy Field Before it Manifests in your Body, and a book chapter titled, “Energy Medicine” for the book Alternative Medicine. Nadine ​has studied meditation and energy meditation for over 20​ years. 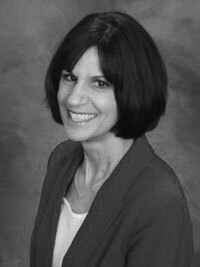 She is a founding partner in the holistic healthcare practice, Sim​ple Path, located in Lakewood, Ohio. Nadine has incorporated her knowledge of mental health, guided imagery, energy healing, ​Elemental Reflexology​ and ​Holistic Counseling​ into her practice. She works with all ages, including college students and older adults. ​Columbus, Ohio where she was also on faculty. ​She holds a Master’s degree in Social Service Administration from Case Western Reserve University. She has many years experience in relationship and community building. She is a Reiki Master ​and a trainer in Heartfulness Meditation.​ Beside her work life, Nadine volunteers her services at the Gathering Place for Those Touched by Cancer, Westlake, Ohio. ​She was Ethics Chairperson, APTA​, from 2009-2016 and sat on the Cuyahoga Community College Board of Trustees, 1999-2015. 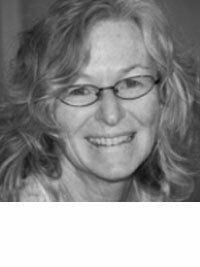 Marlene Perdan is a Licensed Massage Therapist, Board Certified Polarity Practitioner, and Holistic Health Practitioner. She holds certifications in Elemental Reflexology, and as a Sound Therapy Practitioner. 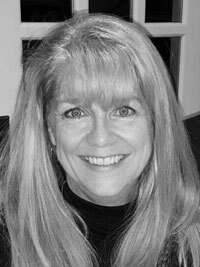 Marlene is a Reiki Master and Licensed Spiritual Healer. She owns her own business, and her areas of focus are massage, energy work, oncology massage, reflexology and chair massage for businesses and groups. Marlene has previously worked for over ten years at a leading nonprofit organization providing health and human service information to the community. She has obtained a Masters of Public Administration and a Certificate in Nonprofit Management from Cleveland State University and a Bachelor’s of Science in Family Studies with a minor in Women’s Studies from the University of Kentucky. 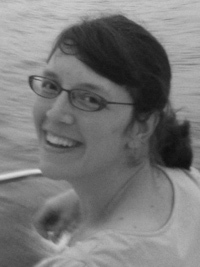 Johanna is a board-certified polarity practitioner and a speech language pathologist. I also have experience teaching anatomy and physiology for polarity therapy practitioners. 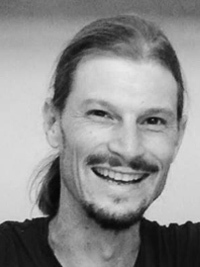 James is a somatic polarity practitioner since 2006 and was born in the high desert mountain town of Santa Fe, New Mexico. At heart he is an explorer of new vistas whether in the foothills of the Sangre de Cristo mountains, sharing the value of including nature as “crucial” for health in daily life or gentle enthusiasm offering Somatic Polarity Therapy, Cranio Sacral, and simple exercise (Qi Gong & polarity stretches & meditation instruction) and dietary recommendations (namely cutting down on dairy) in taking in new clientele or consistent work in long standing case study’s as well as couples/ relationship strengthening using Polarities glorious Elemental Protocols. He has traveled the world extensively since he was in 1st grade as you’ll be able to read in 2019 when his autobiography Speaking with the Way is released. He is an author of 3 books in the self publishing field. He is also a business development & marketing strategist and created EHS the Energetic Healing Systems LLC to house the private practice of Polarity in 2009. He has a wide range of regular clientele, ranging from a movie producer to people covered by federal budgets for a PRC, (personal care attendant) living with severe mental or physical impairment. 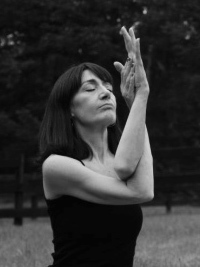 Movement has been both Debi’s life and my life’s work.She have been teaching (dance and yoga) and running her own businesses for over 40 years. Her definition of movement includes both external and internal, so energy work has always resonated strongly with her. Having gone through many short (weekend) energy work training classes, she knew there had to be more. She was hungry for a deeper, comprehensive, evidence based system and is grateful to have found Dr. Stone’s work, a complete holistic practice. Debi completed her RPP in 1999, has been a member af APTA for over 20 years, and was among the first to be Grandfathered in with the BCPP title. She is also a Bach Foundation Registered Practitioner and Certified Bach Basics Teacher. Jan Hoag Armstrong is originally from Chicago but has lived in Greensboro for the past 17 years. She has a MA degree with a concentration in ceramics from Alfred university in Alfred NY. After years of design work, Jan decided to teach art in the Greensboro public elementary school. The Certification Governing Council (CGC) is an independent regulatory council within APTA that sets policies for examination, certification, and disciplinary action related to the BCPP Program. The CGC will use confidential, roll-call voting to elect new Certified and Public members by a majority vote of the CGC.